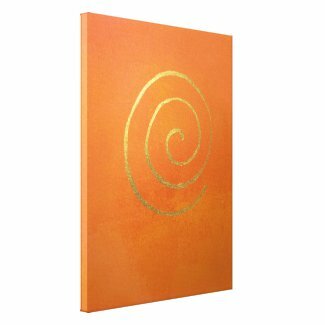 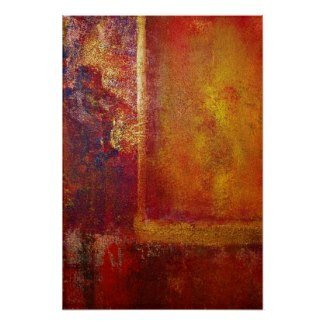 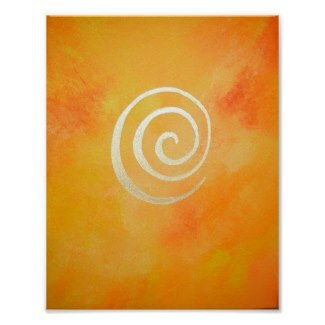 Richly textured abstract painting with deep red, warm orange, yellow, blue and golden bronze pigments. 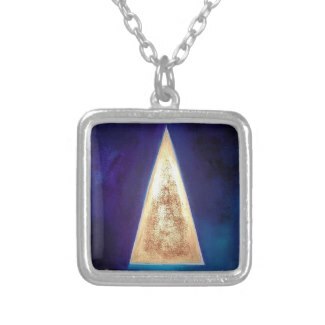 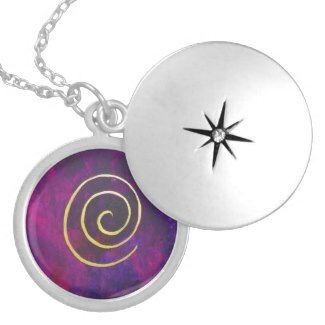 Beautiful round locket necklace featuring Philip Bowman’s Infinity – Deep Purple. 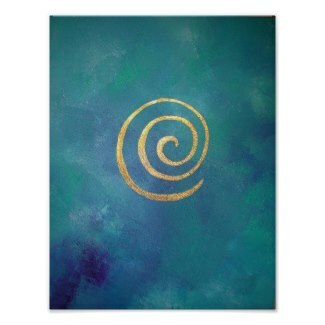 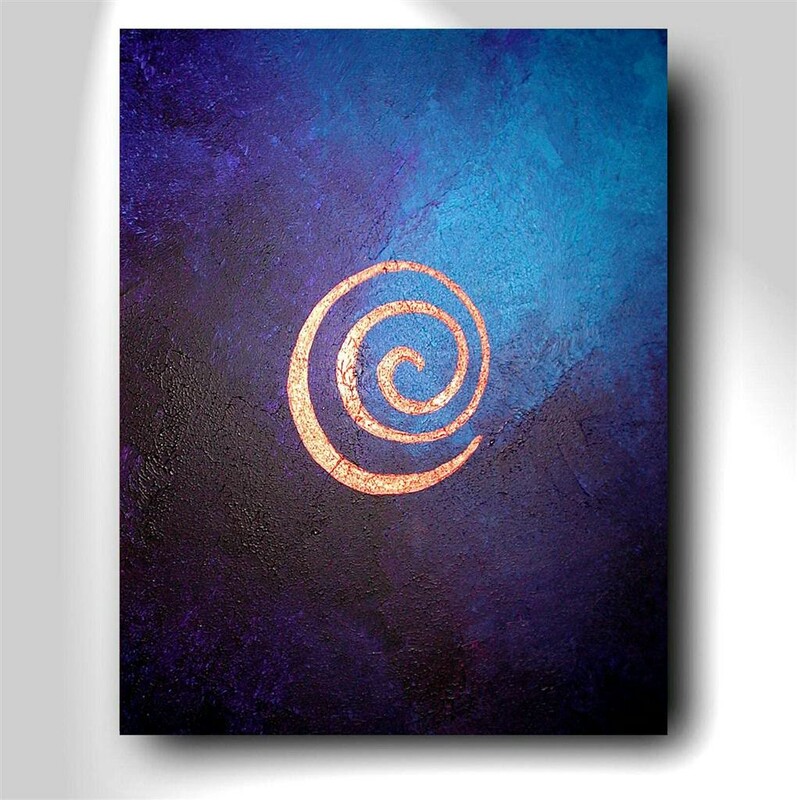 Abstract artwork “Deep Purple” by Philip Bowman from his “Infinity” series with gold bronze pigments.